14′ Aluminum boats with comfortable swivel seats. 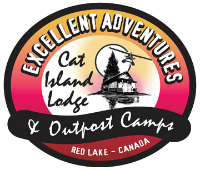 Excellent Adventures Canadian Fly In Fishing! To help with your weight limits we have pre-flown some of your staple foods (weighty items). All are only the best of quality. In order to help you reduce the weight of your gear, we are very happy to provide staple food supplies at your Outpost Cabin: Plenty of each for your group and they are replenished each week during routine flights, so you can check these items from your packing list! The Best Brand Names In Canned Goods, in Bulk! Note: Our compost toilets take a certain type of toilet paper, so we supply it.